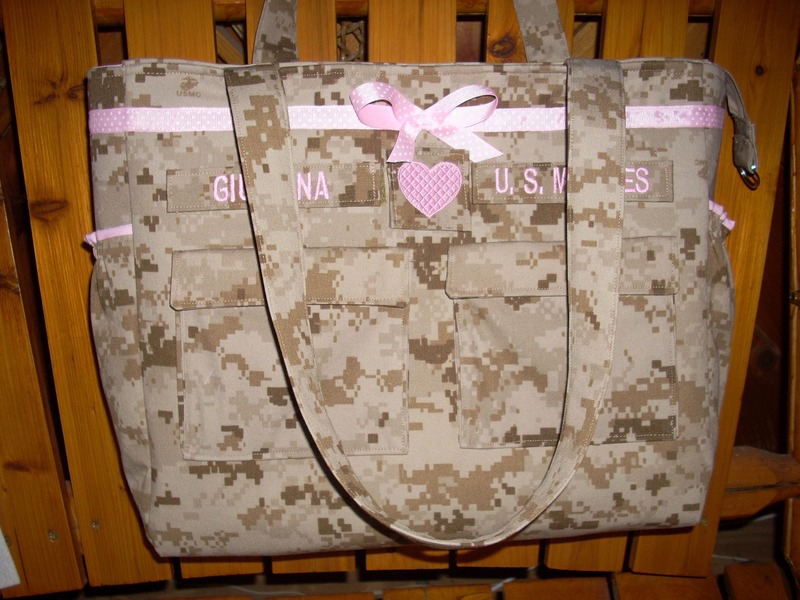 Handmade Marine wife Marine Mom custom bag. Made to order. 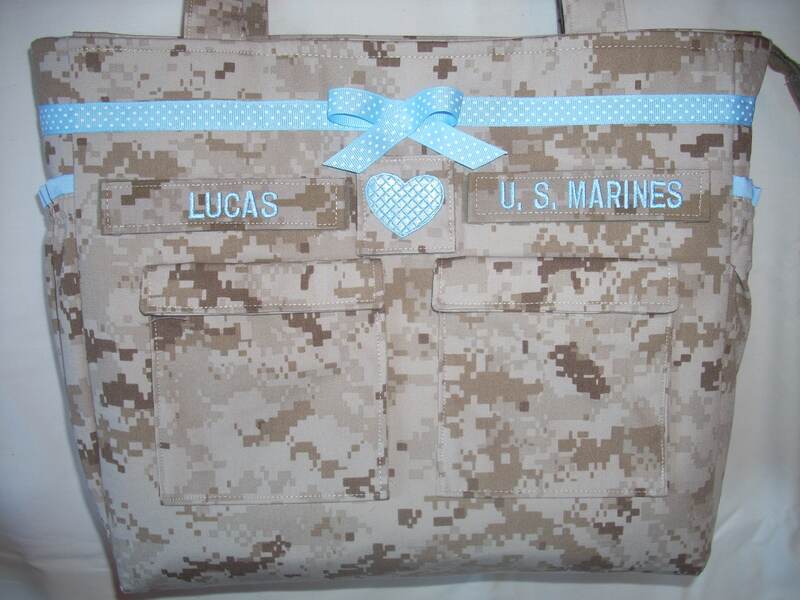 Personalized diaper or travel bag. Measures 17" X 12" X 5". 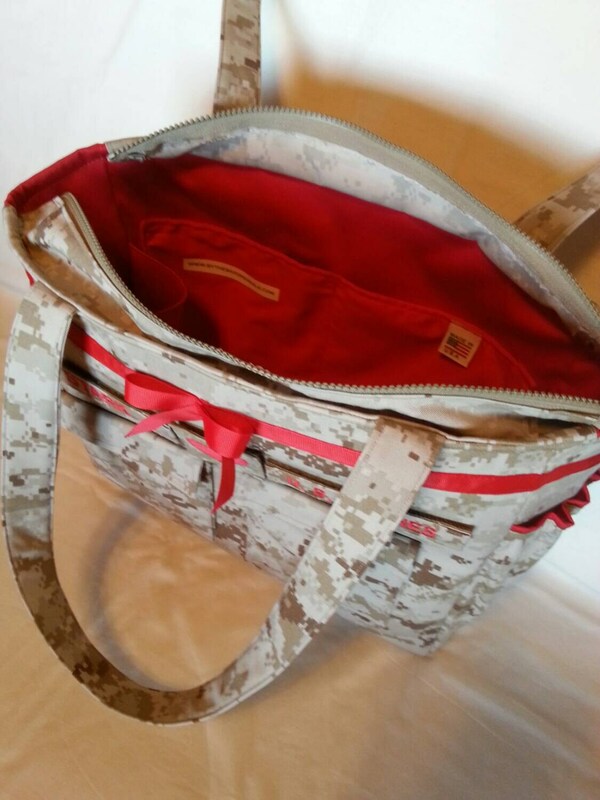 Ten pockets total, inside and out. Zipper to close. 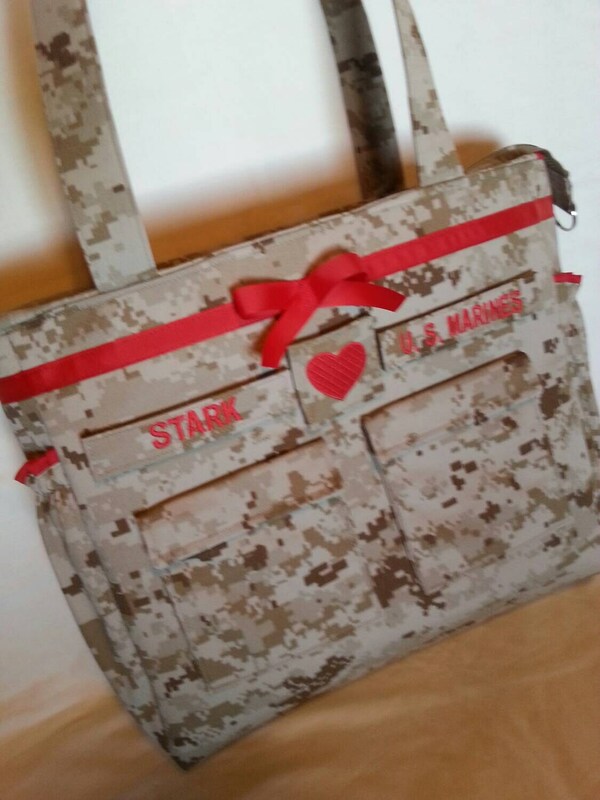 Firm interfacing, bag stands alone. 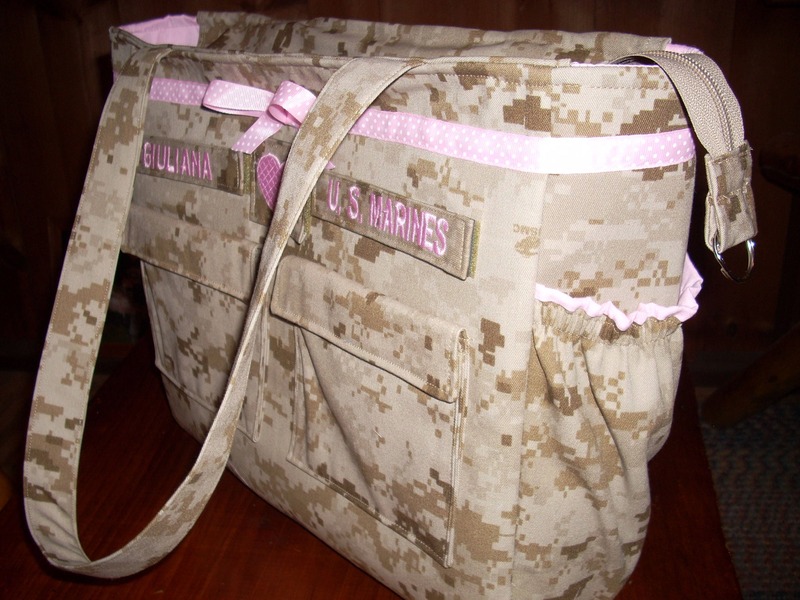 Straps can go over shoulder. 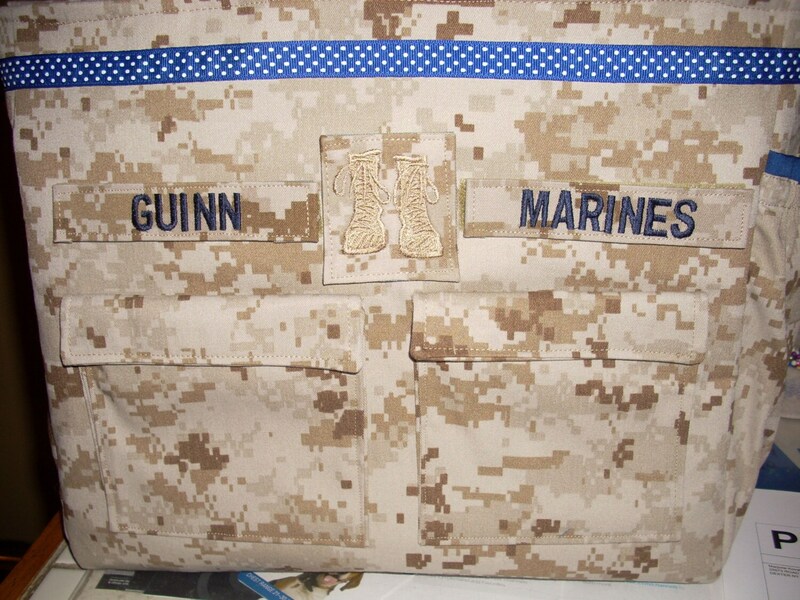 Custom embroidery. Your choice words, colors and trims. 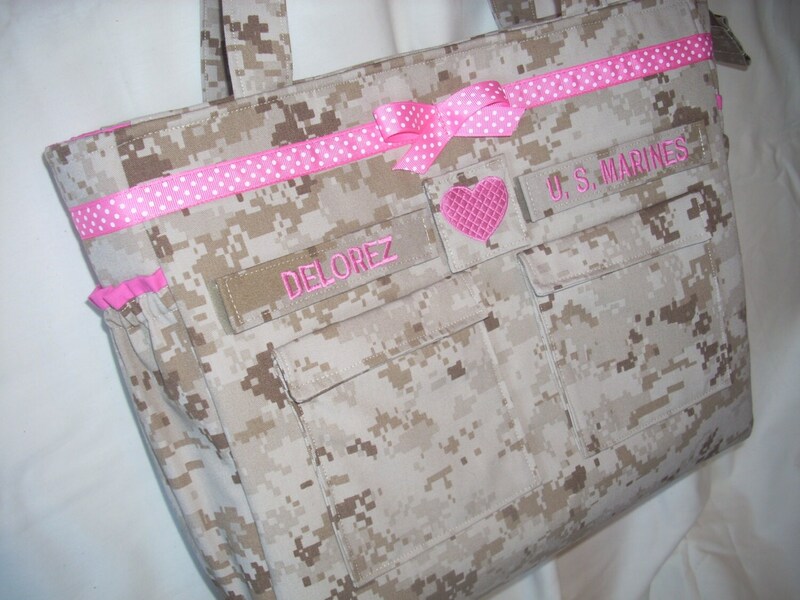 I can customize the bag just for you. 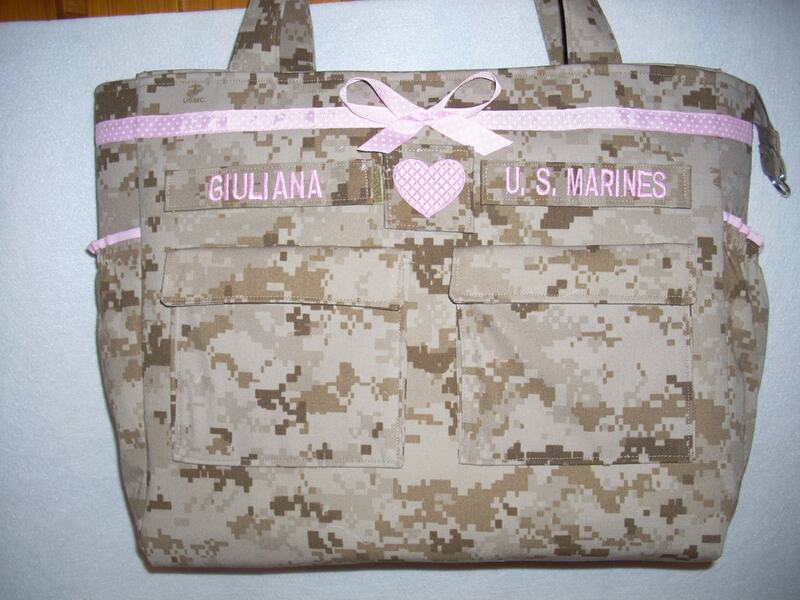 Yyou may send me your uniform for a more personalized bag. Ask me for my address and pay me here on Etsy. Usual turn around time is 2-3 weeks. Buy Quality. 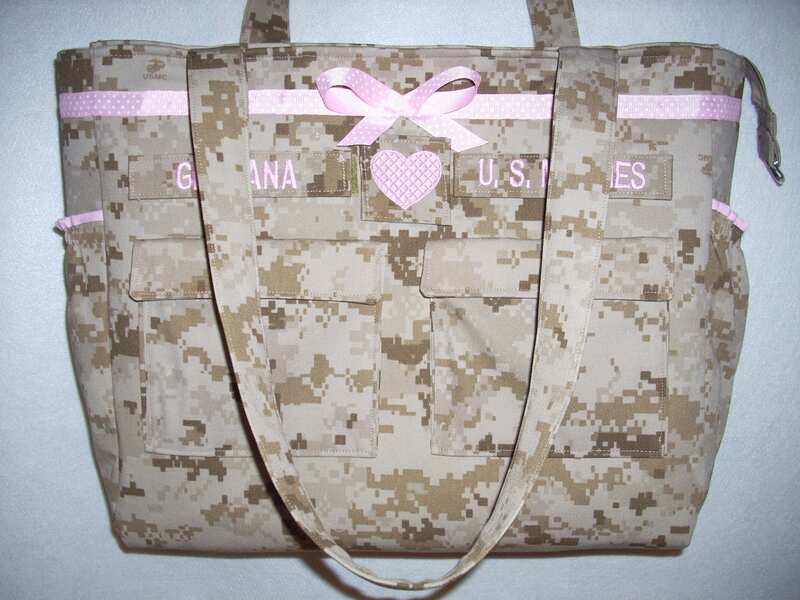 Free embroidery on bag. Just let me know how you want it to look.